The Friday night Wilco show of the band’s semi-annual Solid Sound Festival has become the thing of surprises. Two years ago, the Friday performance became the now-legendary all-covers show that blew up the internet overnight and is by far the most popular recording in the history of this site. For this year’s Fest, the opening night set featured an all-acoustic performance with the band playing it in an old school centered microphone bluegrass style. 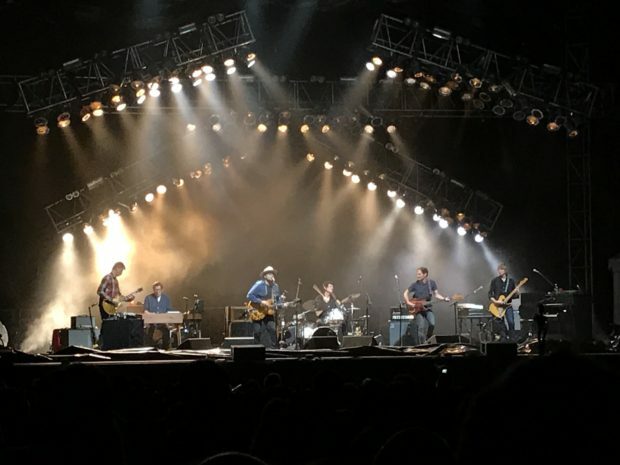 While this configuration is not entirely new to Wilco — the encore segments of the 20th Anniversary the Fall tour featured a similar setup — the performance of an entire two-plus hour show certainly was a novelty. Additionally, in the long-form set the various band members got a chance to stretch their instrumentation wings — we heard some mandolin, accordion, banjo, slide guitar and stand-up piano. The show’s setlist was not particularly rare, but that wasn’t the point. It was the band’s ability to provide interesting new arrangements to Wilco classics that makes this show a special event. 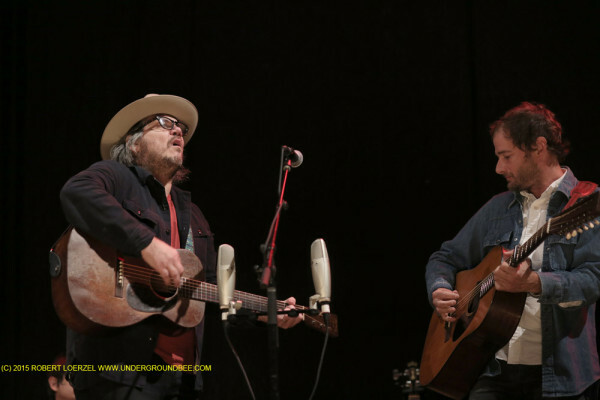 And, in celebration of the recent win for fairness, Jeff Tweedy saluted marriage equality by declaring in the middle of “Hesitating Beauty” that it was “so much nicer singing this song now that everyone can get married”. We’re streaming that track below. 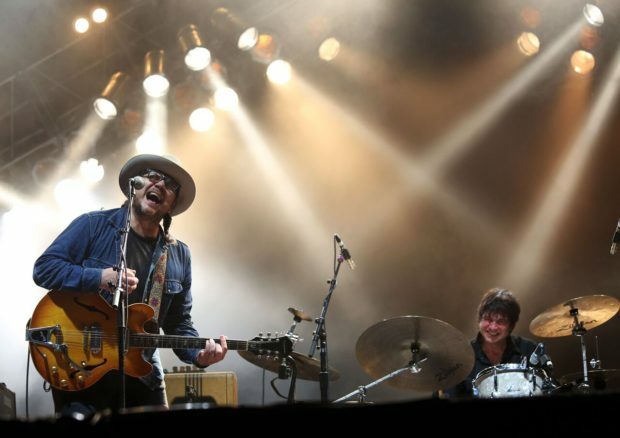 Wilco will be on the Festival circuit for the most part this Summer, dates here. We’ll catch them again at the Gathering of the Vibes in Connecticut in August. Our friend Pete recorded this show from the area directly in front of the soundboard with the hypercardioid Neumanns. As with all of Wilco FOH Stan’s work, this was is another excellent mix and the sound quality (other than the boisterous crowd) is quite excellent. Enjoy! Please note that the files are incorrectly labeled 6/25 on the download.